Practicing in Arlington, Virginia, estate planning, attorney James D. Fife has substantial experience helping small business owners and other individuals meet estate planning and tax planning goals for themselves and their families. The firm serves clients in the northern Virginia and the Washington, D.C. metropolitan area, including Alexandria, Fairfax, Falls Church, Vienna and the surrounding communities. The firm also assists clients from other areas who have legal problems that fall within the firm’s practice areas. The Law Office of James D. Fife provides individuals and small businesses in Northern Virginia with effective legal counsel in the areas of estate planning, probate, estate administration and business planning, with a special focus on related tax consequences. As an experienced business law attorney, James D. Fife helps clients choose the most appropriate forms of organization for their businesses and provides advice about related income tax planning matters. Mr. Fife uses his practice experience and educational background, including a graduate law degree in taxation, to help clients identify and resolve federal income tax issues that arise in the areas of estate planning, probate and business planning. The firm provides comprehensive legal services that address the specific concerns and requirements of its clients. The firm also assists clients by preparing documents that are customized to meet their individual objectives. Communication between an attorney and his or her client is an important part of legal representation. An exchange of information between the lawyer and client is necessary to ensure that both the attorney and the client have the information required to participate effectively in the representation. In its representation of clients, the Law Office of James D. Fife encourages effective attorney-client communication. The firm provides clients with advice that enables them to make informed decisions about issues that relate to their objectives. When alternative arrangements may be used to accomplish a client’s objectives, Mr. Fife helps the client compare those alternatives by giving advice about the legal and tax consequences of each arrangement. Contact the Law Office of James D. Fife for an initial consultation to answer any questions about the firm’s services in the areas of estate planning, estate administration or business law. 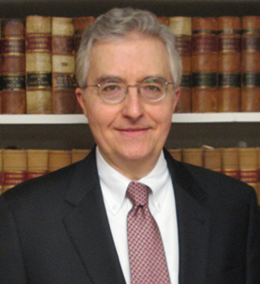 Licensed to practice law in Virginia since 1981, Mr. Fife established the law firm in Arlington in 1994. The firm collects and uses information about each client to provide services that assist the client in meeting his or her specific objectives.